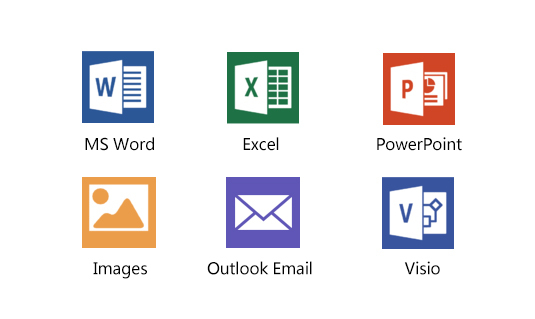 SharePoint PDF Converter supports a wide range of document types: MS Word (doc, docx), Excel (xls, xlsx,csv), PowerPoint (ppt, pptx), Visio (vsd, vsdx), Images (png, jpeg, tiff, psd), e-mail (msg) files and more. 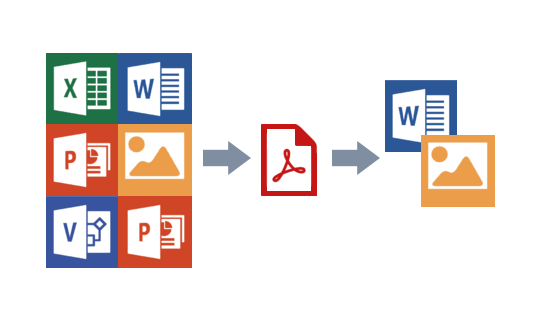 SharePoint PDF Converter can not only convert Word, Excel or PowerPoint files to PDF, but is able to convert PDF back to MS Word file. The best part is users do not have to download or install additional software to their computers. Sometimes you may store multiple continuous files in SharePoint, but when you need to assemble the final version, it becomes very time consuming to download and combine all the files on your computer. 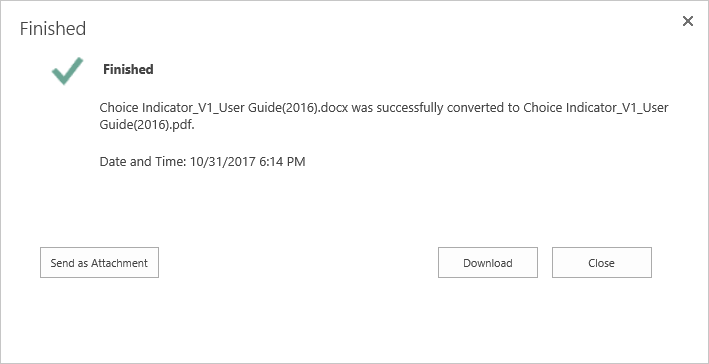 Using SharePoint PDF Convertor, just select the files and click one button and your document is ready for distribution! Users no longer have to manually attach their files in Outlook. 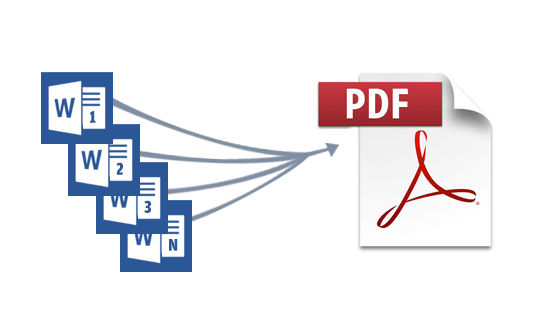 After converting or merging documents with SharePoint PDF Convertor, users can easily distribute their final document as an email attachment.